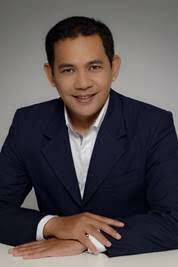 AppsDiscover, Mobile and Desktop Ad Network, has recently appointed Mr. Muhammad Jumhari as the Country Head Indonesia. After establishing a strong base in India and Singapore, AppsDiscover now offers its services in Indonesian market and looks to expand its business in the South-East Asia to work with local advertisers in Indonesia. 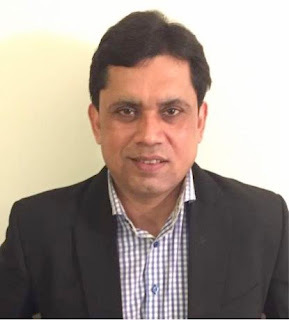 Having started out its journey in India in 2013, AppsDiscover is one of the rarest Start-up Company who has achieved phenomenal growth in a very less time. The company has come a long way in providing the state-of-the-art solutions by offering the most preferred online affiliate programs and affiliate marketing products. Syntech Technology Pvt. Ltd., the Indian partner to Gionee’s overseas arm, today announced its official corporate name change to Gionee India, for increased synergy between the corporate and the brand name. 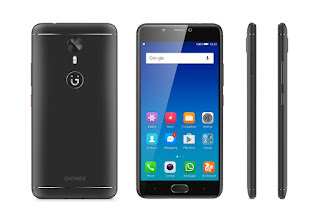 Gionee India will henceforth be manufacturing and marketing Gionee smartphones in India. 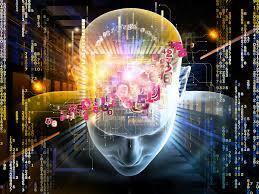 Apart from the name, there will be no changes in the overall corporate and financial structure which was being followed by the erstwhile Syntech Technology Pvt. 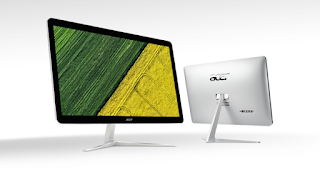 Ltd.
Acer has announced two new sleek all-in-one desktops, namely the 27-inch Aspire U27 and 23.8-inch Aspire Z24. With 7th Generation Intel Core processors and optional Intel® Optane™ Memory, both devices provide a powerful and responsive Windows 10 experience, while adding a touch of style to the home environment. In their continued effort to expand presence in the tier 2 and 3 markets in the country along with strengthening supply chain efficiencies, Xerox India, a part of Xerox Corporation, today announced Compuage Infocom Ltd., India’s leading IT and telecom distribution house as its new national distributor partner for Xerox range of office products and Supplies. Zen mobile announced the launch of Admire Metal Smartphone to strengthen its ZENERATION 4G portfolio. The trendy and metal finish smartphone is designed for digitally savvy consumers who are looking for a stylish, 4G experiences at a highly affordable price. The Dual SIM Admire Metal sports a 5inch HD IPS display which makes watching videos and images an absolute joy. 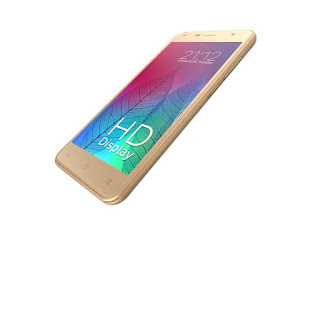 The device is powered with a 1.3 GHz quad core processor and a 1GB RAM and 16GB ROM (expandable up to 32GG), and ensures smooth performance, multi-tasking and boasts of seamless Android Marshmallow 6.0 OS. For selfie lovers and amateur photographers, Admire Metal offers a 5 MP rear camera with auto focus and 5 MP Selfie camera with flash, which allows users to capture images effortlessly. The premium metal and sleek design finish, further adds to style statement. Niki.ai, an AI startup, and Zen Mobiles have partnered to provide a simple, fast and intelligent shopping experience to the customers of Zen Mobiles. Now Zen smartphone users can enjoy conversational commerce on their phones and avail crucial services such as mobile recharges and bill payments; cab, bus and hotel bookings; events and movie ticketing; food ordering; home services and nearby search all by simply chatting with Niki. The service can be currently availed on Admire Swadesh and Admire Dragon devices and on upcoming models, like Admire Thrill+, Admire Joy and Admire Buzz. SonicWall announced key milestones since it spun off as an independent cybersecurity company and introduced the SonicWall SecureFirst Partner Program on November 1, 2016. Over 10,000 partners have already registered as SonicWall resellers, and the SecureFirst Partner Program is now open to partners in Asia Pacific. Today SonicWall also introduced two initiatives designed to help these partners secure customers in the shifting cyber arms race – SonicWall University to train partners on cybersecurity, and new global marketing programs and incentives to help the SonicWall channel deliver their cybersecurity solutions and services for small and medium-size businesses (SMBs). 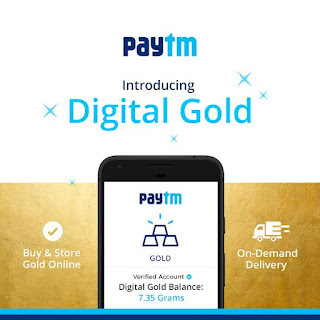 On the occasion of Akshaya Tritiya, Paytm announced that it has collaborated with MMTC-PAMP to launch Digital Gold, enabling Indians to buy, store and sell pure gold instantly. Paytm users can now purchase gold online and store it in MMTC-PAMP’s highly secure vaults free of charge. They can also request for their gold to be delivered at their home in the form of minted coins or sell it back online instantly. Mumbai gets it’s first neighbor‘hood’ connect App – Living Local. Moved recently to the city or are you keen on running a social local initiative? Living Local, a neighborhood connect app lets you champion your neighborhood by connecting you to people around you. With over 20,000 users, the app helps Mumbaikars communicate with their local neighborhood for all kinds of information and activities around them. Living Local is the only neighbor‘hood’ networking platform that focuses on giving users an online identity based on their Hood. Living Local has launched its app on both Android and iOS platforms. ‘Hooders’, as the Living Local team defines, are dwellers of a neighbor‘hood’ who love to enhance their sense of belongingness to their place by seeking, helping and discovering information through other hooders. From recommended brunch options to new eateries opening in your hood, best chaat recommendations in the area to car-pooling to office during weekdays, Living Local helps hooders connect and socialize with their fellow hooders. LyncBiz has signed an MOU with Hyderabad-based company Globarena to tap the growing e-learning market in India. Globarena Technologies is already a leader in providing competency enhancement solutions to more than 15 Universities and 2000 colleges, with branded programs like GEMS and TekEdge. Through this association, Lyncbiz and Globarena will target the existing user base of over 2 Million university staff and students across India with innovative blended learning solutions built on the Claned Platform and also sign on new Universities, colleges and Corporates. 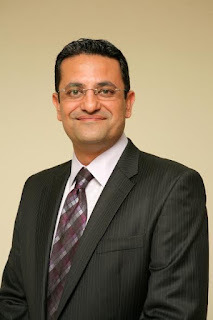 Hitachi India announced the appointment of Mr. Bharat Kaushal as the Managing Director of Hitachi India. Bharat will be the first Indian to spearhead Hitachi India’s operations. He succeeds Mr. Kojin Nakakita who has been elevated as Chairman of Hitachi India Pvt. Ltd. and Hitachi Asia Ltd. The new appointment will be effective from 1st June 2017. 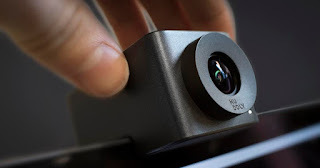 Huddly, the startup that’s building a computer-vision software platform for video collaboration, has raised $10 million in new equity in the recently oversubscribed Series B investment round. The equity issue was led by existing lead investors and a selected number of new high-quality private and institutional investors, bringing the total equity raised by Huddly to $20 million. Pareto Securities AS acted as financial advisor to the company. 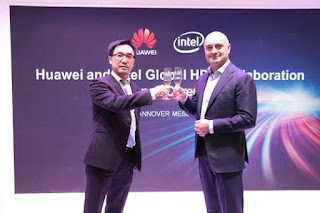 Huawei and Intel signed a memorandum of understanding (MOU) to cooperate in high-performance computing (HPC) to provide competitive and innovative HPC products and solutions. Today, Huawei and Intel held the global HPC collaboration launch ceremony at Hannover Messe 2017, underscoring the beginning of the two partners' deeper collaboration in HPC innovation. HCL Infosystems announced that it has achieved the Oracle Platinum Partner status in Oracle PartnerNetwork (OPN). 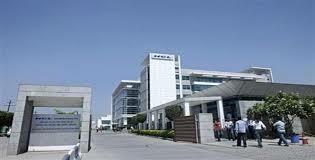 By attaining Platinum level membership, Oracle has recognized HCL Infosystems Ltd. and its subsidiaries – HCL Services (HCL Infosystems’ Domestic IT services arm) & HCL InsysPte Ltd. (HCL Infosystems’ Singapore based arm) for its in-depth expertise in selling and implementing Oracle solutions for its customers. Trend Micro Incorporated released its latest research report on the activity of Pawn Storm (aka APT28 and Fancy Bear), an active cyber-espionage group that targets the global defense industry and politicians, among others. Trend Micro’s researchers have found and continue to find phishing domains created in March and April connected to political campaigns in France and Germany. Konrad Adenauer Stiftung, a political organization in Germany, and Emmanuel Macron’s campaign in France have both been targeted this year. Aspire Systems announced that it has formalized a partnership with Dell Boomi . The partnership will accelerate and simplify API Integration with Aspire’s Unified Reference Architecture (AURAS - Cloud) solution, a future-ready cloud integration platform capable of addressing many different vertical use cases with speed and accuracy. 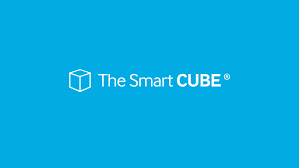 “We’re excited to partner with Dell Boomi as we focus our combined energies to serve a wider range of customers with our ability to deliver fast, scalable, enterprise-class integration across a wide range of scenarios. Powered by Dell Boomi, AURAS can deliver complex integrations in a robust and accelerated fashion, enhancing productivity, achieving business agility and time to value,” said Hariharan, Head of Enterprise Integration, Aspire Systems, Inc.
ABB and IBM announced a strategic collaboration that brings together ABB’s industry leading digital offering, ABB Ability, with IBM Watson Internet of Things cognitive capabilities to unlock new value for customers in utilities, industry and transport & infrastructure. Businesses today typically use multiple fleet suppliers, all providing different reporting data, in diverse formats, with varying levels of accuracy. As a result, many fleet managers still use manual spreadsheets for their day-jobs, which can be unreliable and time-consuming to maintain and offer inflexible and limited reporting. Increasing expectations from senior executives for data to be presented in a visually appealing format puts further pressure on fleet managers. 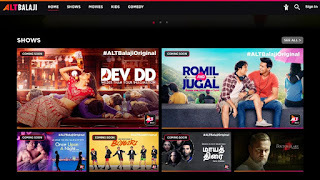 One of the world’s largest internet-based TV and On-demand service provider for South Asian content, YuppTV, announced the launch of Freedocast Pro Device and Freedocast Live Streaming Platform. Providing end-to-end solutions for users to go LIVE instantly, anywhere anytime, the Pro Device & Live-Streaming platform also enables users to broadcast live videos on multiple platforms such as, Facebook and YouTube Live, Twitter/Periscope and others. 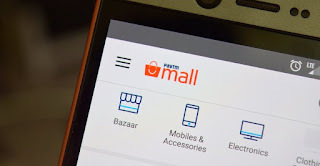 Paytm Mall announced it has sold more than 150,000 Maggi Masalas of India packets as customers rushed to the platform to buy the new variants of their favorite 2-minute instant noodles. Nestle’s latest Maggi Masalas of India has brought 4 new exciting flavors - Amritsar Achari, Mumbaiya Chatak, Chennai Super and Bengali Jhaal. Customers can buy these unique noodles packs exclusively on Paytm and Paytm Mall. Microsoft India announced the India winners of Imagine Cup 2017, after concluding the national finals held in New Delhi. Now in its 15th edition, Imagine Cup continues to foster innovation among students in the country and enables them to transform their ambitions into reality. With the vision of a one-click AI-based online parenting solution that helps to keep children secure from cyber-bullying, Content Holmes (BITS Pilani) emerged as the winner among 27 finalist teams from across the country. The team will now represent India at the upcoming worldwide finals in July in Seattle, USA, to compete among global teams for a USD 100,000 prize. 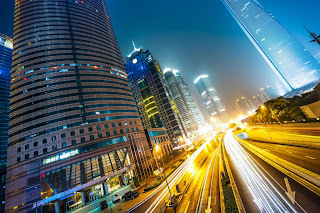 Red Hat, Inc. announced the opening of two new offices in Bangalore and New Delhi. These offices mark the company’s continued commitment to enabling customer success with open hybrid cloud solutions in India. 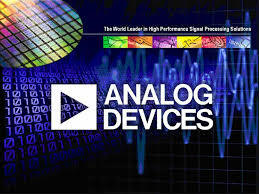 Analog Devices announced a pair of high-performance gallium nitride (GaN) power amplifier (PA) modules which offer one of the highest power-density levels in their class, thus minimizing size and weight of the subsystem. The HMC7885 and HMC7748 broadband modules target applications operating between 2 GHz and 6 GHz, including test and measurement, communications, Traveling Wave Tube (TWT) replacement, military/aerospace surveillance and countermeasures, and radar. The fully integrated, all solid-state devices expand ADI's existing line of GaN-based PAs, and feature ease of use to accelerate prototyping and system design.